We got a question today from Jake in Minnesota asking if there was any noticeable difference between cheap and expensive cleats. Here’s the answer our long time writer and colleague Max shared this with the young lad. Q. Is There a difference between cheap and expensive soccer cleats in your guys opinion? A. None whatsoever and that’s why I recommend all my teammates to shop at Buy Cheap Soccer Cleats. My Sunday team varies from ex-pros to your typical average joe who’s just coming out for a run around. Personally, I have a play with a pair of Adidas nitrocharge 3.0’s that I paid $50 for. Has the lack of spending on a “complete” cleat slowed me down? None whatsoever. The only difference is the number(price). Buying a certain pair of cleats won’t make you faster, stronger or take you from zero to hero. In 2016/2017 cleats are sometimes crazed about like sneakers and most people don’t even pay attention the enhancing attributes a certain cleat offers. Browse Our Selection Of Firm Ground(grass) Cleats! Conical studs, bladed studs, triangular studs or a mix of all? Ankle support? That’s really the only quality I look out for as a winger I prefer bladed studs to help me accelerate. A. Be a complete player. B. You want to make sure it’s worth making the investment before blindly purchasing. Sure, it’s OK to have preference and choose cleats that align with your favorite players and colors but long story short. Nope not much of a difference. For that question I would confidently say Yes. As long as your cleats are comfortable on your feet and provide good traction on wet surfaces then there is no reason why you can’t save a few bucks and still enjoy the world’s beautiful game to the fullest. 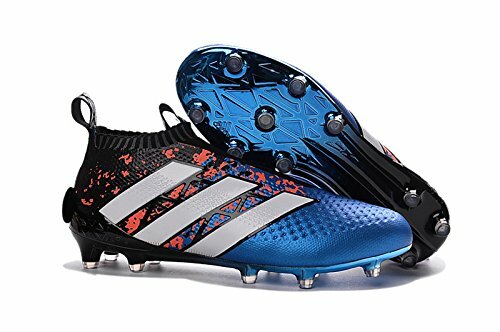 buy cheap soccer cleats is expensive always the best?